Did you know you can support us when you make purchases on Amazon using Amazon Smile ? Amazon Smile will automatically d onate 0.5% of the net purchase price (excluding VAT, returns and shipping fees) of eligible purchases to Hospice at Home West Cumbria at no cost to you! AmazonSmile is a website, the same the Amazon you know. Same products, same prices, same service. Your shopping experience stays the same but we receive a donation from Amazon. – Log in to your Amazon account and search for Hospice at Home West Cumbria in the ‘pick your own charity’ search bar. – You’ll receive an email from Amazon and you’re ready to shop! Shop as you normally would, knowing each purchase you make also helps to support your local hospice at home. 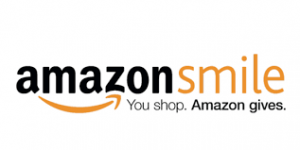 The main thing to note with Amazon Smile is you always need to purchase your items through smile.amazon.co.uk rather than the main Amazon site. You can also download AmazonSmile as an app for your phone or tablet.